NEW ! 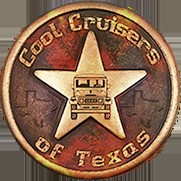 - Convert CCOT or Toyota Windshield Mount Mirrors to Hard Door Mirrors. Does two doors or both hinges. No Drilling - Just Bolt directly to Door Hinge. 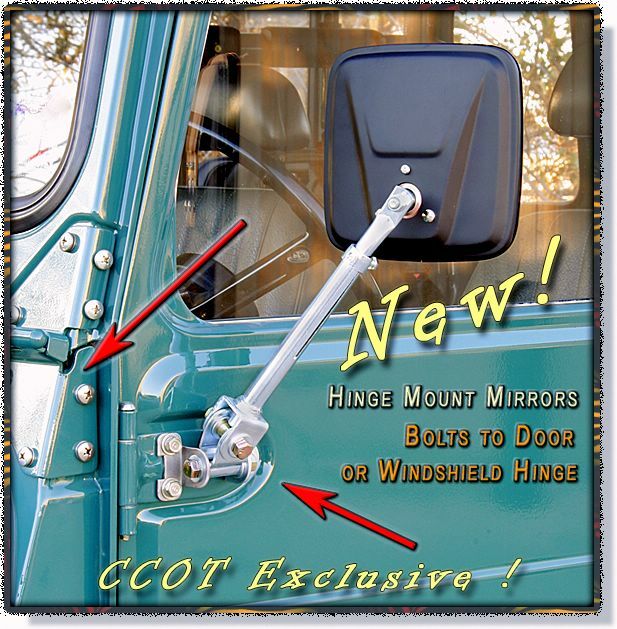 Simply swap out base "L" bracket to convert mirrors to mount to either door or windshield hinge. Big upgrade for older Series 40 models (8/76 & Older) that need wider view mirrors without drilling doors. Mirrors attach directly to factory hinge screw / bolt holes. Great System for those who like to run with their doors off. Brackets fit Right and Left Hand Side Mirrors. 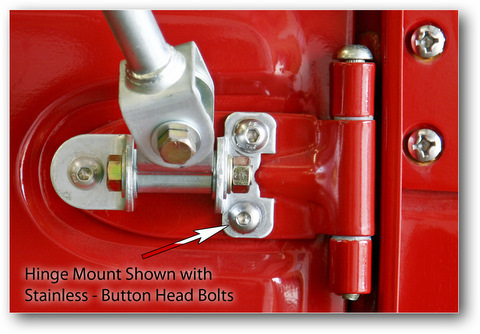 This is a good look'n Stainless Steel button head socket bolt kit for your front door hinges. This is an all Stainless Steel kit. Kit includes 7 button head bolts with 7 external toothed lock washers and flat washers. Button head socket size - 5mm allen.